Clay Pipe Music: Alasdair Roberts and James Green Mini Tour. Alasdair Roberts and James Green Mini Tour. Due to popular demand the show at The Old Dentists has now been split into two separate sittings/houses/shows. If you already have tickets, they are for the late show. If you're at all confused check timings on the WeGotTickets link through which you bought your tickets! 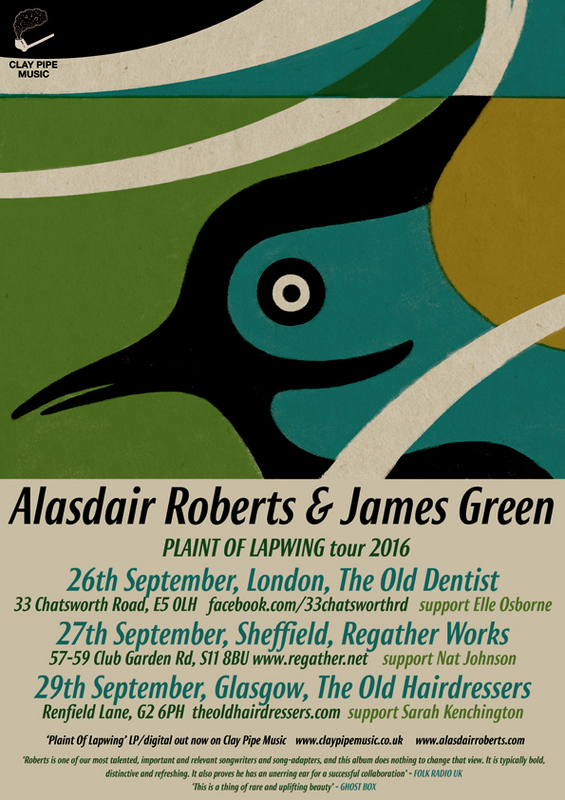 Alasdair Roberts and James Green are doing a mini tour in support of Plaint of Lapwing. 27th September - Sheffield , Regather Works. 29th September - Glasgow, Old Hairdressers.